Let’s talk a little bit about some public statements made recently. Coming from some of our country’s leaders, a couple of them demand scrutiny since they leave us with more questions. Some completely boggles the mind, I tell you. Take for instance Prime Minister Tuilaepa Dr. Sa’ilele Malielegaoi’s message at the 40th celebration of the British American Tobacco (B.A.T.) Samoa Limited last week. Now 40 years is a long time to survive in business and Prime Minister Tuilaepa was correct in acknowledging the company’s investment and contribution through the provision of jobs over the last four decades. No one can fault that and as the nation’s leader, Tuilaepa is the best person to give that acknowledgement. The truth is that we all know the product B.A.T. manufactures and distributes. We don’t need to tell you. Like alcohol and all the unhealthy foods being promoted throughout the country, cigarettes kill people. There is no two ways about that. Which is perhaps why the company, sensitively, kept their celebration low key; prohibiting the media from attending. But then perhaps they forgot to tell the Prime Minister not to send his speech to media outlets. Which is precisely what happened the next day. In that speech, Prime Minister Tuilaepa, the man who wants to be known as the leader at the forefront of healthy living and what have you, is telling B.A.T. to expand its horizons to other Pacific neighbours. What is the Prime Minister saying? Are we correct to paraphrase by saying he is telling them to take their deadly product and use it to make some more people sick? This, ladies and gentlemen, is extremely irresponsible, especially coming at a time where this same Government is promoting good health habits and better living among the population. 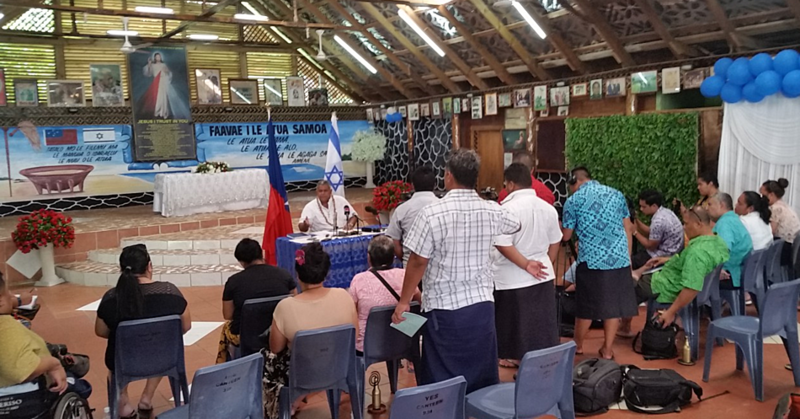 Have these leaders not heard the messages coming from the Samoa Cancer Society and the Ministry of Health about smoking? So what message is this Government sending out to the public? In one breath the Government is saying smoking kills you and in the next breath they are encouraging them to spread their wings and inevitably the destruction of lives? 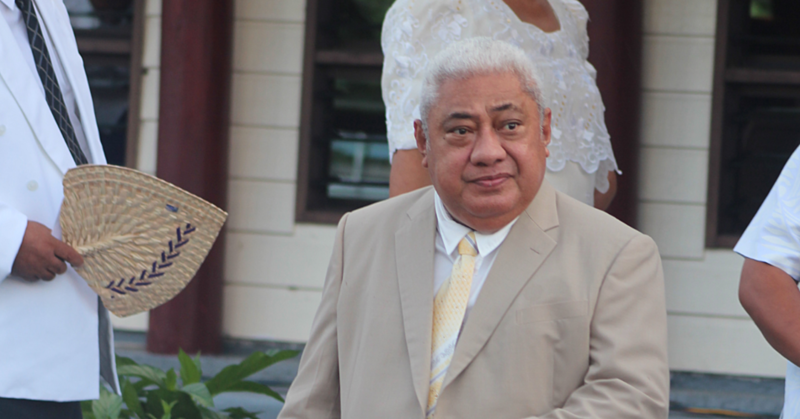 Away from Tuilaepa, another public figure, this time in the form of a District Court Judge delivered a ruling that has raised many eyebrows in Samoa and abroad this week. We are talking about District Court Judge Alalatoa Rosella Viane Papali’i’s description of two motorists’ screeching of their vehicle tyres out of respect for a boy who died in a car crash as a “beautiful tribute”. In doing so, she also questioned the rationale behind the reckless driving charges, which the Police laid against the two men. “I myself thought it was a beautiful tribute for a car racer child really who passed away suddenly in rather tragic circumstances I did not see anything wrong with it,” she said. As an individual, Judge Alalatoa is entitled to her opinion and she might well agree with it. But her opinion is not just another opinion, she represents the Judiciary and her views carry a lot of weight. Young people look up to them for examples. Prior to her decision, the Police and the prosecution had argued that the actions of the two defendants were dangerous. Not only did it lead to complaints from members of the public, it also posed a risk to other road users. Which is easy enough to see. Judge Alalatoa though disagreed. She noted that their actions were done in a controlled environment as a tribute to their friend’s son, whose father was a member of the V8 Club. “I think it’s time we correct this common mistake that seems to be popping up quite frequently in charges brought against accused for screeching tires,” she said. That said; the two defendants were discharged without convictions. Judge Alalatoa is correct in some regards in reference to this case. We also know the men involved a hard-core car enthusiasts who have the skills to do what they did. But this is setting a benchmark, a dangerous one that could be misinterpreted and abused at the wrongs hands. Again we ask, what message does this send out to members of the public? Here we have the Police and Prime Minister Tuilaepa’s Government sending out quite a strong message against this sort of behaviour and rightfully so. It is dangerous and it could kill somebody. Today, however, that’s not the message from the Court. Correct me if I’m wrong but if I decide to do a burnout around the Apia Townclock and the Police charge me, I can easily say to them that I’m paying tribute to a relative who loved cars and died two years ago? We don’t envy being the Police officer who tries to tell the next tyre screechers that what they are doing is wrong. But hey this is Samoa. Everything must go, I suppose.